We had a crack team of volunteer photographers out there snapping away at various points in the races and around the farm. We’re pretty sure they covered everyone between the seven we had going. Check the albums online to see if you made the cut. If you have photos you would like to share, we have created a Runner Uploads gallery. You can add one, two, or hundreds of photos (race related please! ;) by clicking this link and dragging and dropping your photos. Thanks in advance for your contribution. Emily Fagan took photos pre-race, at both of the kids races, and many at the 5 mile race start and finish. Carol Gordon took photos in the farmyard, at the Kids Races, at the very start and near the end of the 5 miler, and some shots post-Loop. David Gordon was busy before the races, taking photos of the kids races, and trekking into the back woods for shots of the 5 mile race and when he ran out of space on his memory card he broke out his iphone and kept snapping away. Tom Casper took many pre-race and farmyard shots, then moved on to the kids races, took some ‘intermission’ photos, then trekked out to the gazebo to take photos of runners on their way out to the woods trails and on their way back to the finish. Keith Realander went out to the gazebo field and covered the runners coming out that way. He also got many shots in and around the farm yard. Ciorsdan Conran took photos at the kids awards ceremony and the 5 miler awards ceremony. Rob Cummings took photos but mostly at the finish for the 7-12 year old kids along with some shots at the start line of the 5 miler. 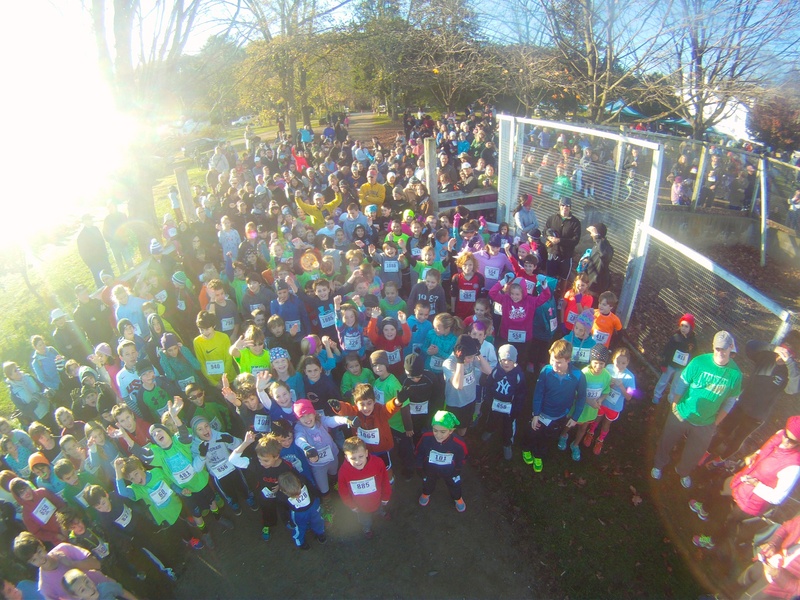 He also had the ‘pole cam‘ and a GoPro capturing runners in all three races as they sped past the Turkeys. Also a few pre-race shots.